The Los Angeles Adoption Day Program started in 1997 as a partnership between the Alliance, the Los Angeles Juvenile Court (Children’s Court), DCFS, and Public Counsel. The innovative program began as a solution to the overwhelming number of foster child adoptions stuck in a backlog. Together, we cleared the backlog and in doing so, established a national model for performing adoptions. 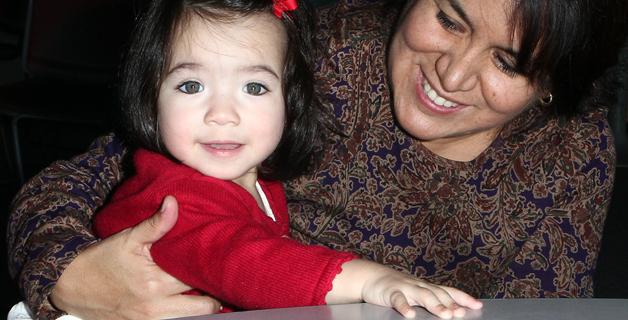 Since 2000, National Adoption Day has joined 50,000 children with permanent families. Learn more. National Adoption Day, typically held in November, is a joyous event celebrating the forever families across the nation. 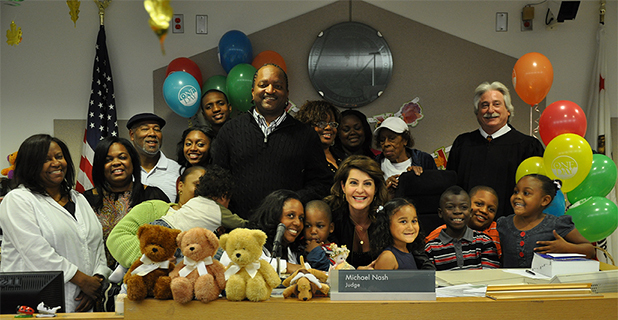 Four hundred cities in all 50 states perform about 5,000 adoptions in one day. Local Adoption Days are held in Los Angeles throughout the year every few months. Our next local Adoption Day takes place on Friday, May 10th, 2019.